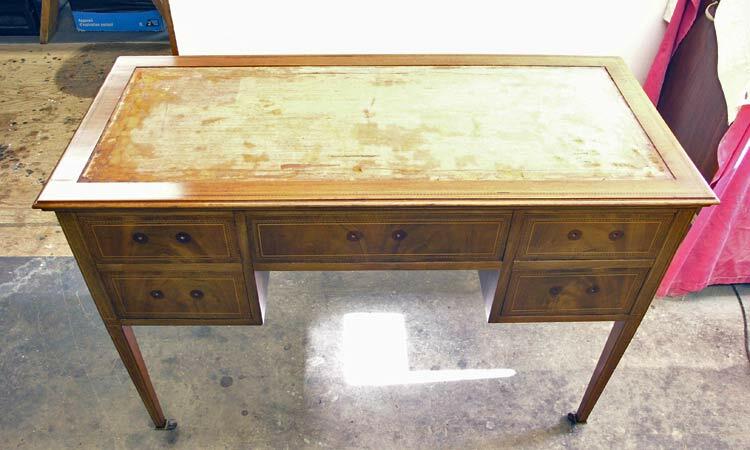 This mahogany desk was brought in for repairs, reconditioning, and leather replacement. To begin the project, the client choose a color, and gold tooling for the new leather. 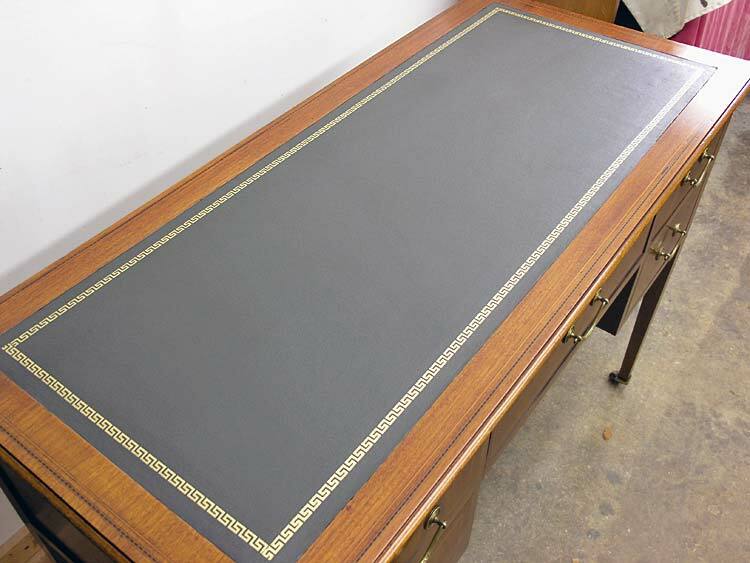 An order was then placed so the new leather would arrive by the time the other work on the desk was complete. Repairs included shimming a large crack on one side, and re-working the drawers which were very difficult to open. To recondition the existing finish I first removed the brass hardware. The finish was then cleaned and lightly scuffed. After some staining and touch up, a few coats of lacquer were applied. Once dry, the finish was rubbed and waxed. To replace the desktop leather, the old leather was removed and the surface was scraped and sanded. To assure a nice flat surface for the new leather, all the divots were filled and sanded flush. The new leather with gold tooling was glued in place, and the edges were trimmed for a custom fit. To complete the project the brass drawer pulls were lightly polished and re-installed. 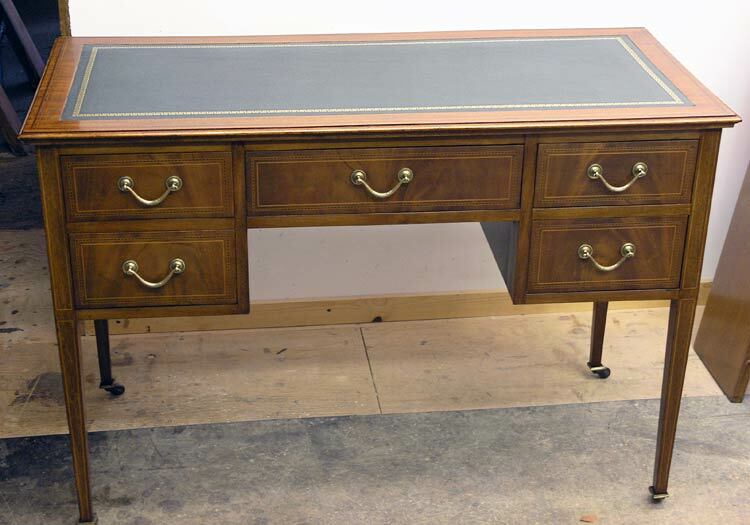 This antique desk was restored for a Millerton NY client.